I'd forgotten about this photo from last summer. 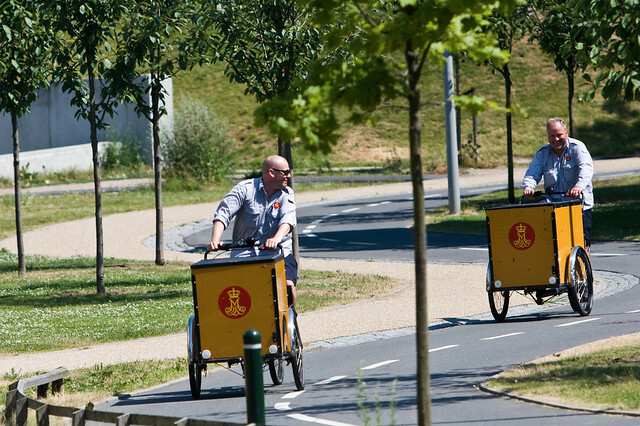 Two postmen racing down the bicycle path on their Christania bikes after finishing their rounds. Heading back to the post centre on Finsensvej. Enjoying every minute of it.